Greenmind is a writer, teacher, and musician who has written extensively about health and men's fashion. 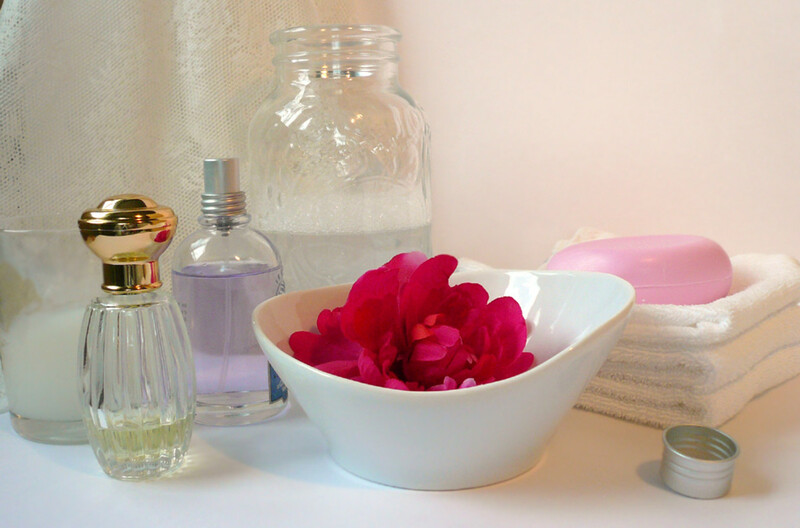 I have been enjoying the benefits of essential oils for years, whether infused in a warm bath or wafting through the inviting atmosphere of a dimly lit room. The presence of aromatic essences invites relaxation and reward. Used for a millennia to soothe the soul, essential oil fragrances can inspire reverie and nostalgia as well as invigorate and restore energy. 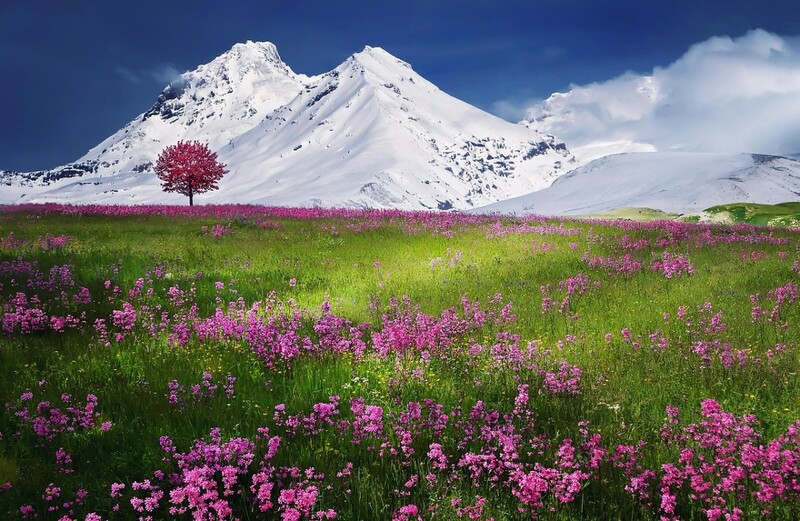 Through the centuries, people have discovered that some compounds have specific applications. 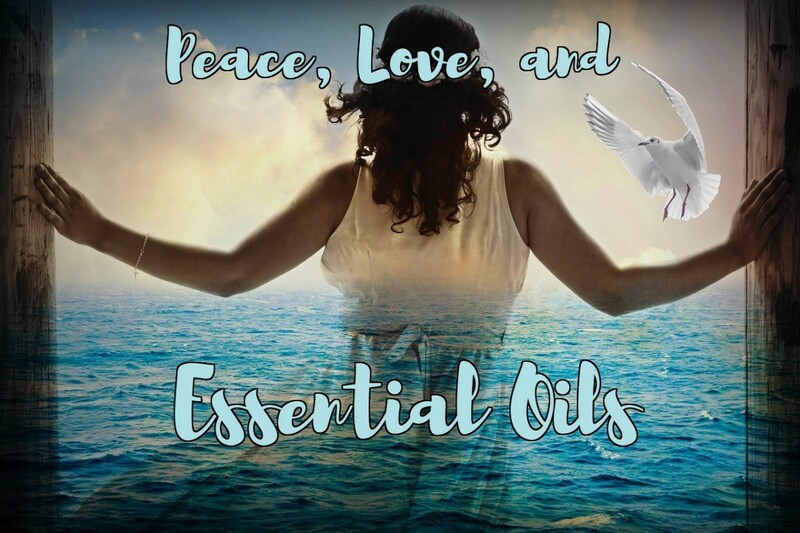 For me, essential oils mean relief from stress, body aches, and sleeplessness. What I like most about essential oils is that they are affordable on almost any budget and can be used in a number of ways. Diffusers, one of the most popular ways to enjoy the benefits of essential oils, are affordable and thoughtfully designed, and the oil sets in this guide are generally meant to be used with a diffuser (although they can just as easily be added to a bath, a soak, or even custom-made cleaning compounds). I hope you take a moment to read about the essential oils presented in this clear, easy to use guide. 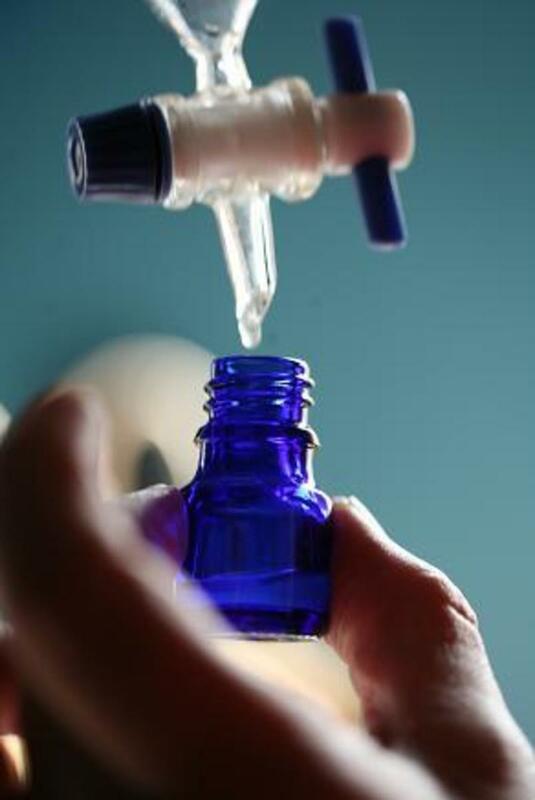 Essential oils (also known as volatile or ethereal oils) are concentrated liquids derived from plants. They are typically quite aromatic, and spread fragrance by way of volatile molecules. If an essential oil is released into the air of a room or living area, the volatile compounds infuse the atmosphere with pure fragrance, which can instantly change the mood and dynamics of the space. I have found that it only takes a tiny amount of a concentrated essential oil to color the experience of a place. I usually use oils with the aid of a diffuser, which combines the oils with purified water to create a gentle mist that wafts into the air. Diffusers are functional design elements that add their own peaceful quality to a space. Some are quite beautiful; all are effective in spreading the aromas of essential oils. I chose this set for this guide due to its well-curated and generous selection of essential oils. Many of these are my go-to oils, especially the clary sage and tea tree (I tend prefer for more astringent aromas, as opposed to floral). With 18 5ml bottles, this Radha aromatherapy collection includes all of the most popular oils and a few that are not commonly found in smaller sets. The bottle size is smaller than most sets in this guide (5ml instead of 10ml), but the nice array of exotic oils more than makes up for that. This set has a remarkable number of different and exotic oils, including lavender, tea tree, peppermint, lemongrass, orange, eucalyptus, rosemary, frankincense, lemon, bergamot, ylang ylang, patchouli, geranium, pink grapefruit, cinnamon, clary sage, oregano, and clove. User reviews for this oil set are uniformly excellent. Essential oil consumers can be quite particular about the aroma and purity of their products, even to the point of running routine blotting-paper tests to make sure there's no residue. The Radha oils, according to one reviewer, passed that test with flying colors. 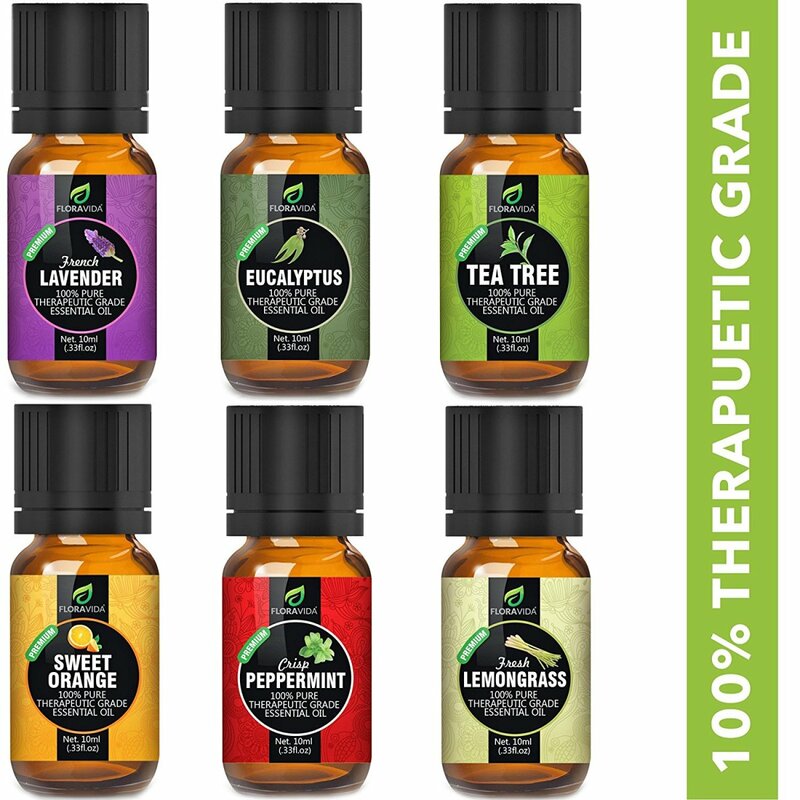 This is a really nice set of small but potent vials of quality essential oils. What is "Essential" About Essential Oils? The word “essential” refers to the “essence” of the plant from which the oil is sourced. For example, rosemary essential oil will bear the purified essence of the rosemary herb. Releasing the volatile molecules into the air via the diffuser gives a room the evocative aroma of fresh rosemary. Essential oils can be extracted from the source plant in a variety of ways. Some are familiar, such as steaming and expression or pressing. 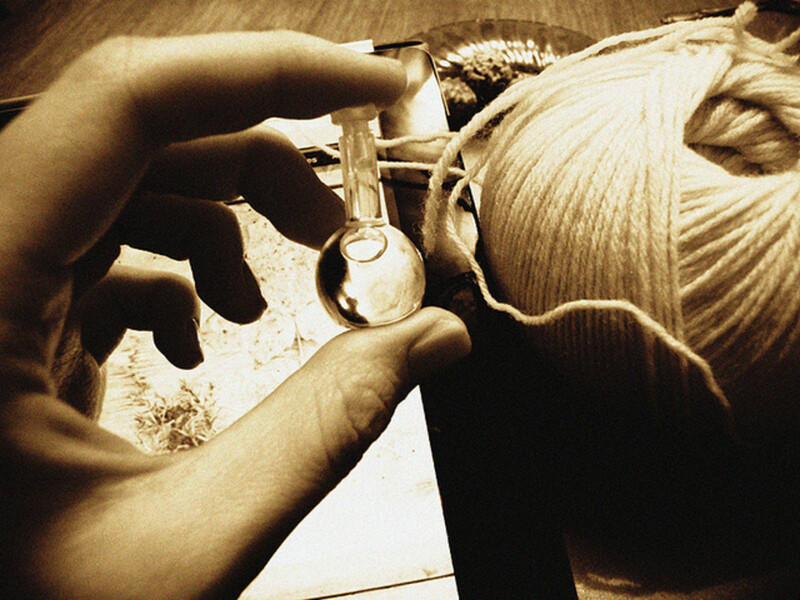 There are other, more exotic methods such as resin tapping and enfleurage, an archaic method in which glass plates in a frame are covered with highly purified vegetable or animal fat. The plant material to be extracted are spread across the purified, odorless fat and left for several days. The process is repeated until the fat is saturated with the essence of the plants. The good-looking gift box that holds these ultra-high-quality essential oils really adds to the value of the set. I love sets like this because they make gift-giving so much easier -- pretty much everyone loves a set of fragrant, relaxing oils, and they're also quite affordable. Carefully chosen complimentary oils in the set, meant for blending. Excellent as both a gift set, starter set, or for more experienced users. Amber tint of bottles guard delicate oils from light and UV degradation. One combination possible with this set is the "sharp, cool vapor" of tea tree oil mixed with Eucalyptus, a bracing scent that clears your sinuses and opens your lungs. I love combinations like this in a warm bath when I feel a cold coming on -- it really seems to help keep my passages open and keep the bug from getting a start in the battle with my immune system. And relaxing in a tub is always good to help let go of stress and fight back against all the little germs and viruses that are waiting for my immune system to be worn down by everyday life. I'm also a fan of rosemary, and the Moroccan Rosemary included with this set is exactly the scent I need to refresh when I'm feeling depleted. This set compes with generous 10ml amber glass bottles of Eucalyptus, lemon, lavender, lemongrass, sweet orange, tea tree, peppermint, and Moroccan rosemary. Customer reviews of this set are nearly unanimously positive. They typically focus on the quality of the oils and the appeal of the presentation. Most users also take advantage of the free "recipe book" with 200 suggested combinations. 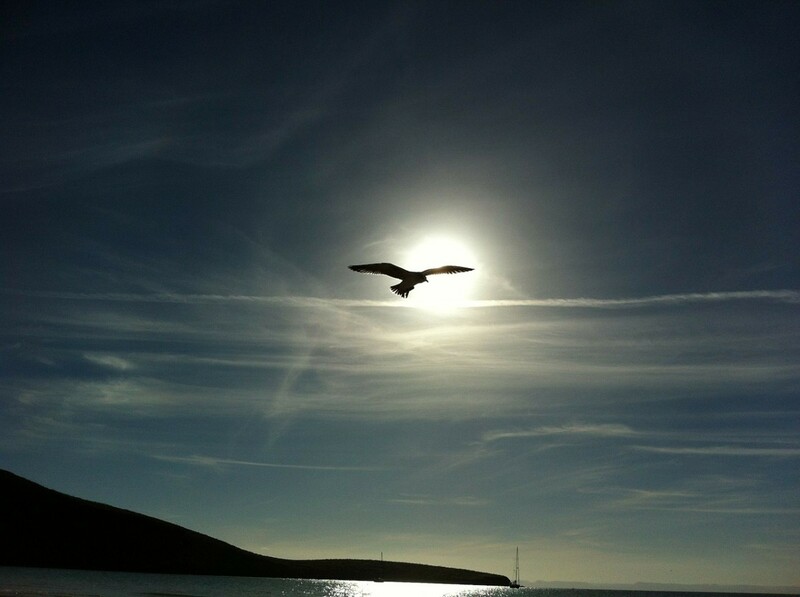 I know but one freedom and that is the freedom of the mind. I come from a family of doctors, so to me it’s important to note that essential oils are not medicine — they are not pharmaceutically active substances or compounds. Clinically tested drugs and compounds are central to Western medicine, which is in turn based on the proven power of the scientific method. That said, the use of essential oils for mood, sleep, stress release, and well-being is an established practice that makes millions of people feel better each and every day. Oils are inexpensive, easy to use, and comforting, and in many cases they come from plants that do possess psychoactive compounds. Lavender, the common name for plants in the genus Lavandula, is a group of species of flowering plants in the mint family (Lamiaceae). Lavender is one of a handful of essential oils that have shown in clinical trials to have a genuine psychoactive effect on humans. 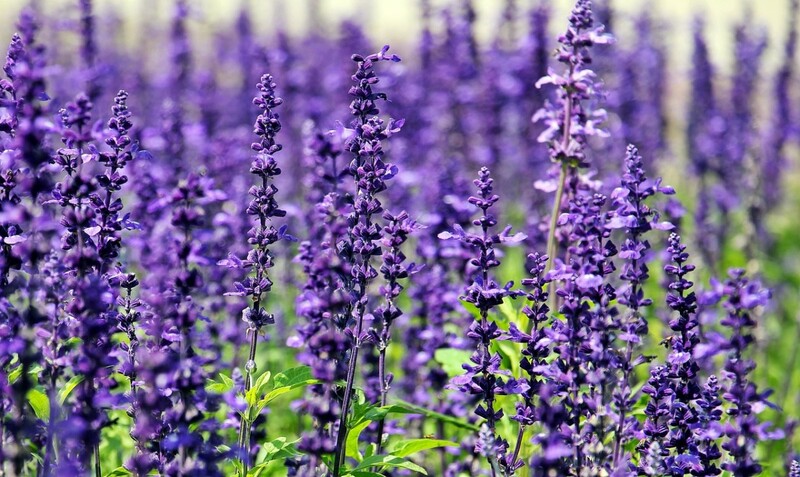 In a study published in Evidence-Based Complements to Alternative Medicine, researchers found evidence for lavender's "therapeutic and curative properties, ranging from inducing relaxation to treating parasitic infections, burns, insect bites, and spasm. There is growing evidence suggesting that lavender oil may be an effective medicament in treatment of several neurological disorders." Other possible applications for lavender cited by this work include mood stabilizer, sedative, and analgesic. Studies like these that use a science-based approach to alternative medicine, rather than an approach based on assertions without testing or proof, give the practice of essential oils therapy a grounding in fact and could lead to wider use of the practice. "Starting from the first step, agricultural professionals identify the perfect geographical locations and environments to obtain the most desirable oil quality and high medicinal potency. Soil quality, air and water sources all have an effect on the quality of the final oils produced. At harvesting, experts advise on the optimum day, and time of the day, to harvest each individual species to ensure maximum flavor-impact compounds and its natural healing properties." The company suggests using a diffuser or an oil-burner -- essentially an oil lamp designed to heat small amounts of essential oils to release the volatile molecules that create the aroma -- as well as adding to home-made cleaning products. 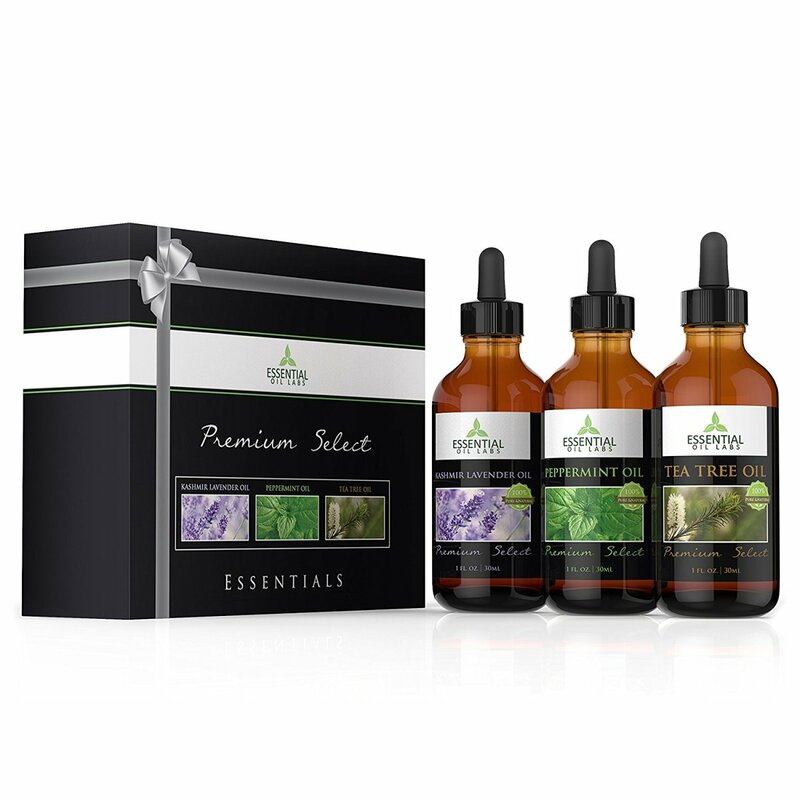 All oils in this set are packaged in dark amber bottles for retaining maximized freshness. Calily literature claims the company was started by a group of naturalists determined to apply their knowledge and experience to the produce the best essential oils available. The company spends considerable time and resources to develop their products. User reviews are excellent, and are worth reading for the way people are using these oils in their own way to create their own products -- one evenmentioned making beard balm! 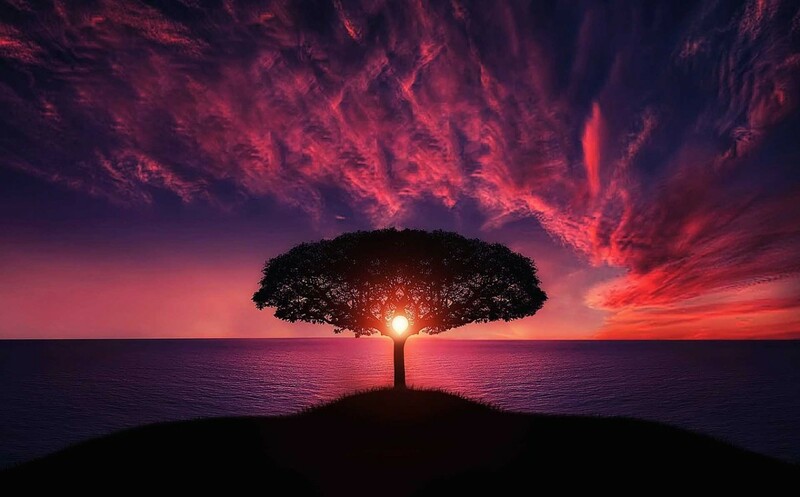 Meditation brings wisdom; lack of mediation leaves ignorance. 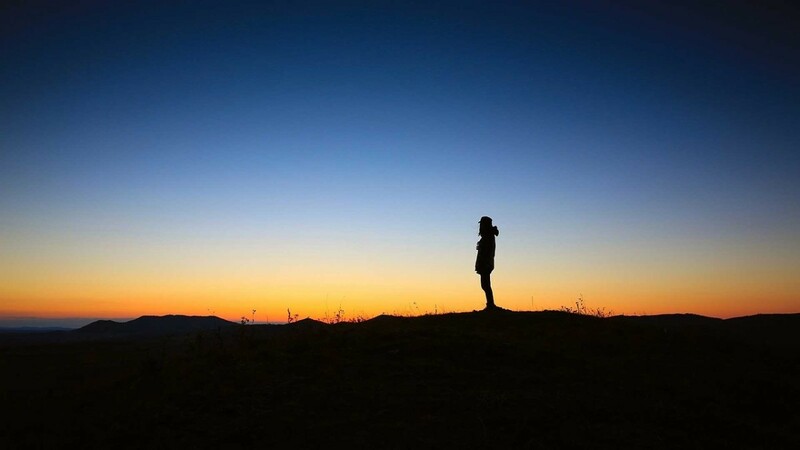 Know well what leads you forward and what holds you back, and choose the path that leads to wisdom. 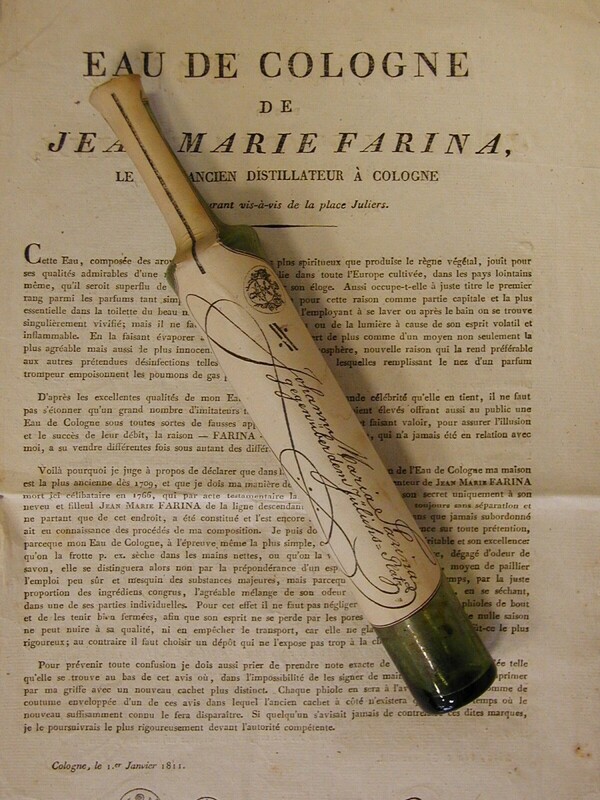 There is a long and rich history of aromatic oils being used for ritual and healing. Actual records of the production of essential oils comes from the Islamic world nearly a thousand years ago, when chemists and pharmacists wrote down details on how to produce them. Nowadays researchers have narrowed down the specific chemical compounds that work together to create various aromas: methyl salicylate, for example, is the chemical term used to reference "oil of wintergreen." The use of essential oils has also expanded to include a number of different aromatherapy modalities, as well as a fair number of dubious applications for the treatment of serious medical conditions such as cancer. I like this set because it includes a good-looking infuser. My infuser is one of my favorite possessions, even though it's a fairly plain, inexpensive design. I start it up when I come home from work, and sometimes in the morning. There's something beyond comforting about the moment the essence of whatever oil I choose -- lately it's been rosemary -- wafts into the air. It's cool that this oil set comes with its own diffuser, and it's also quite cost-effective, since normally you would have to spend at least $20 for the infuser alone. For sheer economics, this sets gets the thumbs up on this guide. Hand-selected for a wide range of therapeutic and aromatic needs. 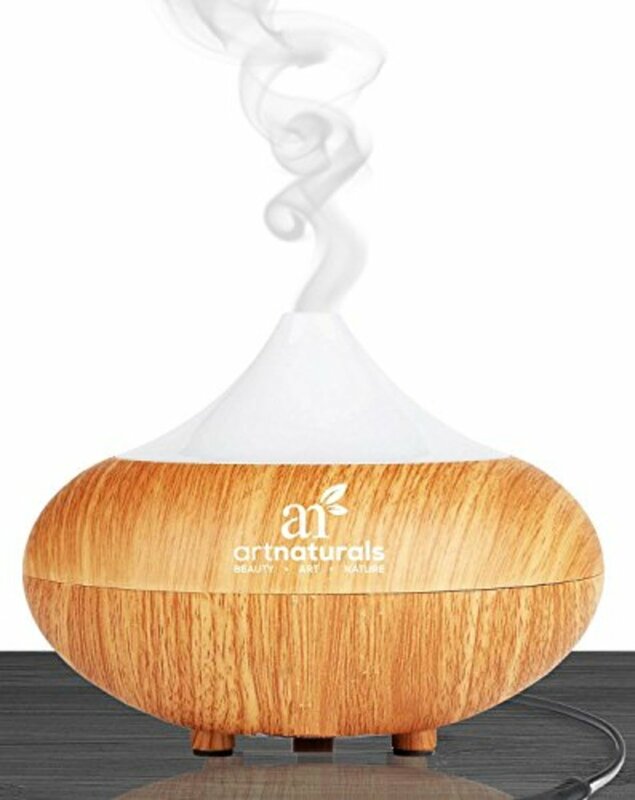 This diffuser, like the one I own, works through sonic vibrations to produce a gentle stream of essence-bearing mist that not only spreads the aroma throughout the space, but also gently humidifies the air. It's surprising how this little unit can condition the air in an entire room. As the manufacturer explains, "Sonic vibrations silently create a delicate ultra-fine mist which delivers maximum humidity while dispersing aromas to all corners of your living or work space." This is true and the system works beautifully. Users give this set high reviews, and predictably appreciate the added bonus of the included diffuser. Reviews typically come from people who use the oils and diffuser on an almost daily basis. 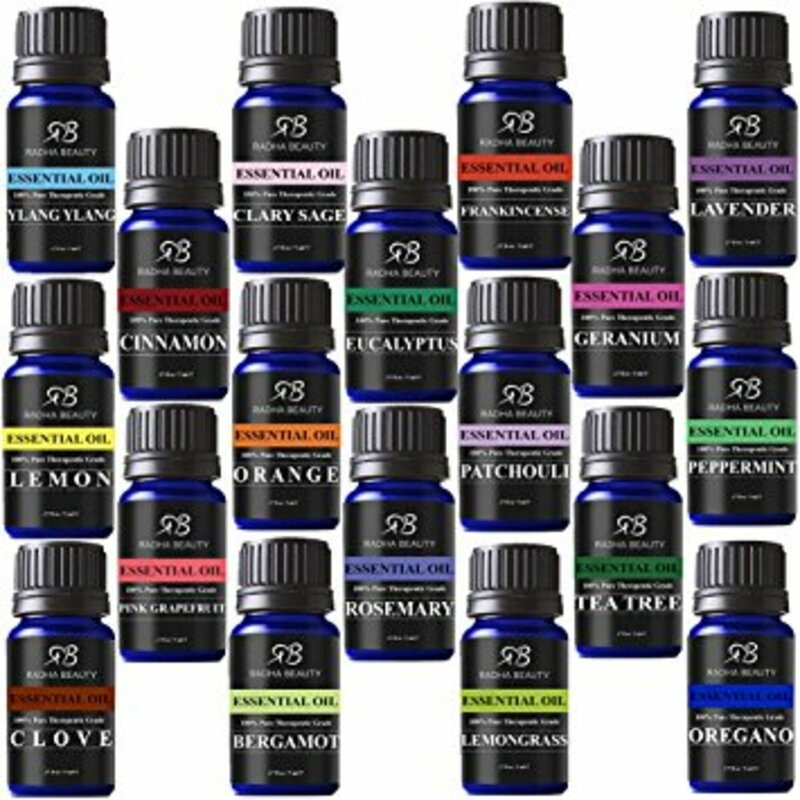 This is a simply massive essential oils set that includes twice as many varieties as most other collections. It's also remarkable that each bottle is a full 10ml -- most other large collections limit the bottle size to 5ml. That means that ounce for ounce this set is one of the most outstanding values on the market. The manufacturer makes an unusual offer by way of a guarantee: if you try their product and don't decide to "switch permanently" to their oils, they'll refund your purchase. That's a lot of confidence. I have experience with all kinds of essential oils, but there are several included in this set that I have never encountered. Here's the entire list: Basil, Bergamot, Birch, Breathe Blend, Cedarwood, Cinnamon Bark, Clary Sage, Clove, Eucalyptus, Health Shield (Compare to Eden's Garden Four Thieves) Frankincense, Grapefruit, Lavender, Lemon, Lemongrass, Lime, Patchouli, Peppermint, Cleanse Blend, Relaxation synergy blend, Rosemary, Spearmint, Stress Relief, Sweet Orange, Tea Tree, Thyme, Vanilla and Wintergreen. Users seem to love this set, even though it's among the less-expensive, ounce for ounce, of the collections in this guide. Typical comment: "The price is amazing very much affordable. The quality is very good." Unlike the other sets in this guide, this collection foregoes multitudes of little bottles to focus on three very high-quality large ones. This set is not really for beginners -- you need to know exactly what you want, and what you like. You also likely have some experience with mixing oils to get your own blends. All things considered, this is an unusual set, with a full ounce of Rose (Rosa Damascena), Ylang Ylang (Cananga Odorata) and Calabrian Bergamot Oil (Citrus Bergamia) oils, each with their own glass dropper. Produced in small batches to ensure the highest quality available. The Highest Quality oils available with no chemicals, fillers or additives. Bottled and Distributed in the United States in December 2016. This set, more than the others here, would make a really cool gift. Three oils, in a nice amount, might be a little less overwhelming for the newbie than a complex box of two dozen little vials. Each oil comes with a user guide with detailed usage guidelines and numerous recipes and blends. Nota bene -- The company is now saying that there are limited quantities of this set available. Do not let the behavior of others destroy your inner peace. This sweet set by Juju Aroma wins the award for best gift box packaging. If you're thinking of gifting a nice set of essential oils to someone, Juju makes it easy -- just throw a quick wrap on it and you're done. Essential oil sets are one of my go-to gifts. They're a very cool combination of affordable and exotic, and there are very few people who don't love getting a gift that gives them permission to do a little self-care. With the almost endless essential oil combinations available, it's easy to find the right gift set for just about anyone, male or female, you or old. I always have trouble coming up gift ideas, but a quality essential oil set is really the solution to the bind of now knowing what to give. Set Includes 6 / 10 ml of Lavender (France) , Eucalyptus (China), Peppermint (India), Lemongrass (India), Cedarwood (USA) and Sweet Orange (USA). 100% pure, unadulterated essential oils distilled from aromatic plants that are grown, harvested and processed all over the world. Juju Aroma essential oils are tested with Gas Chromatography (GC). This guarantees that the oils are pure. Every gift set comes with a premium box, with an elegant golden bow on the top. Every bottle lies on a sheet of golden fabric lining. As with all the sets in this guide, these oils have a million and one uses. I use them for aromatherapy in my vaporizer/diffuser. Some people make home-made cleaning products using essential oils. Nearly every user review mentions the gorgeous gift box. 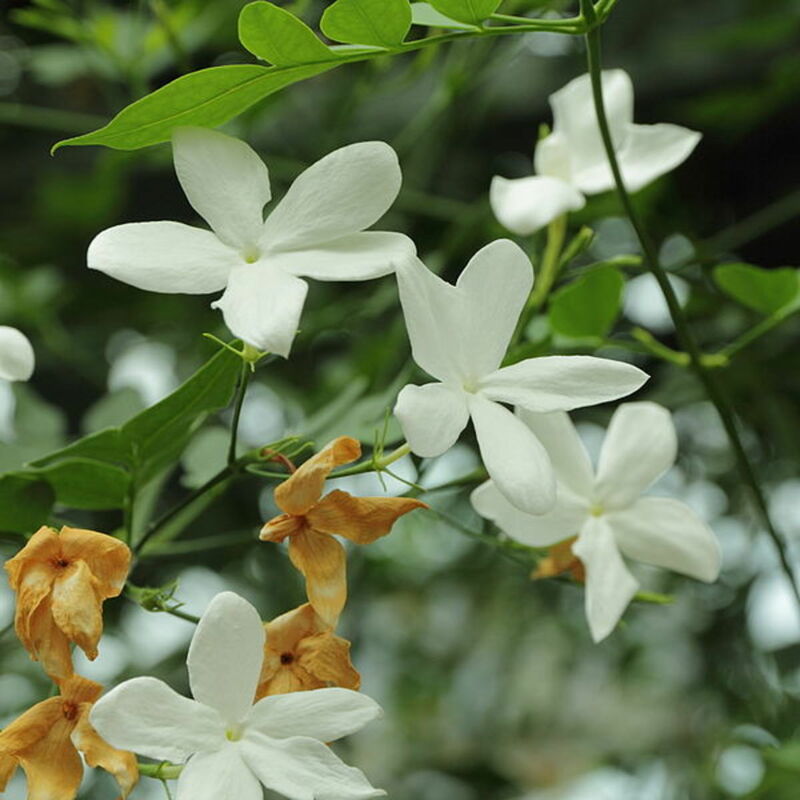 Why is Jasmine Essential Oil Used in Expensive Perfume? I've been using essential oils for a while now and have found I'm drawn to certain aromas based on the time of the year. In winter I am attracted to cimnnemom and spicier scents. I'm summer I am drawn to citrus especially orange as well as gardenia. Vanilla I like yeare round. My favorite scent which I also wear is Egyptian musk. So you know if there is anything known about why certain people are drawn to certain scents and why seasons may affect this? Great article. Thanks for all the information! Your post is well researched and very informative. I use my lavender oil in my home for relaxation. It is very calming.